Note: All Kids classes are open to parents and relatives to attend. Started Kyokushin Karate in 1980 with the Edmonton Dojo. Received my blue belt when I was then already 48 years old. An advanced and avid long distance runner, with lots of stamina, but with little other physical strength, my instructor encourage me to advance along the way to Shodan. Eventually, attaining Shodan in 1992. This followed, in 2004, with my test for the grade of Sandan. I have completed close to 32 years of continuous training, all in Edmonton dojo, learning many deep mysteries of Kyokushin karate, and adding all that to my personal everyday life-style of a… karate-ka. Considering my age, I don't know how long I'd be able to train Kyokushin karate regularly, but both, my membership in my home Edmonton dojo, and my personality of a karate-ka shall always stay with me for the rest of my life. Irek Slobodzian has been a member of IKOK-C since early 1990. His exposure to Kyokushin Karate however, took place a few years earlier in his native Poland while attending secondary school in the town of Brzeg. After moving to Canada in 1990, he joined Edmonton Kyokushin Karate Club, where he trained under Shihan Les Banas and Shihan Mac Mierzejewski whom he considers as very influential in shaping his training and fighting style early on. 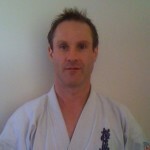 He became a Shodan in 1998, Nidan in 2003 and hopes to be successful in obtaining his Sandan in 2013. Irek is an experienced national and international fighter with numerous tournaments under his belt. Highlights of his fighting career include two time Junior Canadian National Champion, Alberta Open Champion and Calgary Cup Champion. He competed in numerous tournaments across Canada and in 2004 was a member of the Canadian team at the 10th Oyama's Cup in Khabarovsk Russia. In his personal and professional life Irek is a husband and father of two daughters who maintains a quite extensive travel schedule as a sales executive. 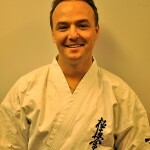 Graham has competed in a number of International events, the 6th World Open Karate Tournament in Tokyo, the 1994 South American Championship in Sao Paulo Brazil, the 1993 & 1994 Ultimate Test in Atlantic City, the 1995 World Shidokan Open in Chicago. Graham has attained numerous medals at Canadian Championship’s. His proudest achievements are being a 6th World Open Team Member, & earning the Jason Shattenkirk Memorial Spirit Award in 1994. 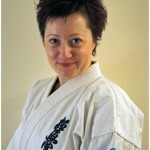 Ana Maria Raluca Feher (4th Kyu) started Kyokushin Karate back in Romania in 2008. From the very beginning she was taught that both kata and kihon make a strong fighter and she made those words of her first sensei her principles. She started training with the Edmonton Kyokushin Karate Club in 2009 and since then she’s been very active, participating in summer/fall camps, national and local tournaments. Her best competitive achievements are: 2nd place in kumite and kata Canadian Championships (2011), 5th place in the Vancouver Cup (2011) and 3rd place in the Calgary Cup (2012) kata open. She’s assisting Sensei Nathan and Sempai Joe with the children’s classes since 2010; occasionally had also helped Sempai Irek with the adult class. The Edmonton Kyokushin Karate Club was started in 1983 by Sensei (now Shihan) Les Banas. The club has produced many local and national champions, as well as providing excellent karate and self-defense instruction, and general fitness to many Edmontonians. 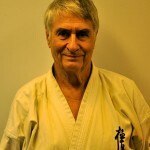 In the summer of 2012, Sempai Irek (Eric) Slobodzian became the head instructor of our dojo. 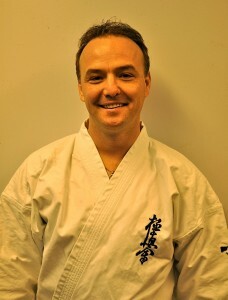 He succeeds Sensei (now Shihan) Mac Mierzejewski (1991), Sempai Nathan Howat (2000), and Sempai Joe Johnston (2008) as head instructor of the Edmonton dojo.